A New Fletch Film is in the Works!!! Will Chevy Be A Part Of It?? Now I believe that Fletch was one of the best comedies of the 1980’s, but its sequel was one of the worst sequels in cinema history. I mean it killed any chance of their being a third film for a while. 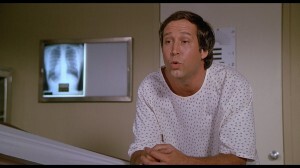 But now they are moving forward to bring back Fletch to the big screen. The original films are great and since the 2nd one debuted, many a filmmaker have tried to revive the franchise, but all have failed. Even Kevin Smith has tried to get this franchise up and running again sometime in the 1990’s but it never happened. 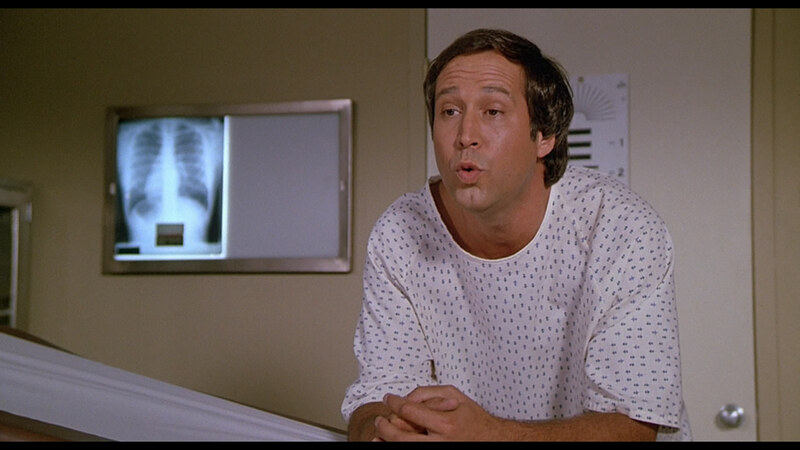 Well Warner Bros., according to DEADLINE, is putting full force ahead to get another Fletch film out there. and with their recent announcement of Stephen King’s The Stand, it seems they are trying their hands at adapting books into films. There is no word on any crew or actors yet, but it could go a few ways. I mean Chevy is still alive and in good health to reprise his most famous role, but he is happy and content I believe with the hit show Community, and who even knows if he would want to reprise his role for a new generation. Or they can completely get a new and younger cast with hot stars today. Hopefully they will get some sort of actor with a comedy background with range to fill the role if they decide to go this way. And I wonder if it will be more of a comedy with a little bit of Mystery or more of a mystery with a little bit of comedy here and there. Only time will tell. ‘Vacation’ Coming To Blu-ray, DVD and Digital HD!!! Jason Sudeikis To Star In Rebooted ‘Fletch Won’!!! This entry was posted on Wednesday, February 2nd, 2011 at 1:43 pm	and is filed under Film, News. You can follow any responses to this entry through the RSS 2.0 feed. You can skip to the end and leave a response. Pinging is currently not allowed. « Harry Potter and the Deathly Hallows Part 1 Announced and Detailed!!! Your soul is stained with the blood of innocents.